This year’s Major League Baseball season has just started, and you may be looking for a mobile game for your iOS or Android device that could keep you engaged all season long with a plethora of features, real-life teams and players, and fairly realistic results. If this sounds like you, then you might want to check out Glu Games’ MLB Tap Sports Baseball 2019. While Glu is probably better known for their celebrity-themed games such as Kim Kardashian: Hollywood and their Deer Hunter series of games, the company’s Tap Sports Baseball franchise has kept baseball fans entertained and glued (no pun intended) to their mobile device screens for years. This year’s edition introduces some new features, such as the option to add three players from your 2018 roster to the 2019 edition (provided you’re using the same Game Center account) and the ability to add your create-a-player “Legend” to your team. Apart from that, fans of the Tap Sports Baseball franchise can expect more of the same — realistic, real-life players and stats (including some all-time greats joining the present-day players), incredibly detailed ballparks, and different game modes that you could all use to your advantage to earn more rewards and improve your roster. If you’re new to the game, or if you’ve played a previous edition but need to get yourself back up to snuff, we recommend reading on for our MLB Tap Sports Baseball 2019 beginner’s guide. We’ve got eight tips and tricks that we believe could help you out in your first couple days of gameplay, much more so, we’d say, than the game’s brief tutorial stage. Anyone who’s played previous editions of MLB Tap Sports Baseball should know what to do here, but for the benefit of those who have just started out, we might as well get you started on the fundamentals. First of all, there’s no need to worry about pitching and fielding — it’s all about timing your swing against the opposing pitcher and making sure you’re actually swinging at the right time. It may take a bit of practice, and even experienced players will go on slumps like real-life baseball players do, but the key here is to swing only when the ball travels within the strike zone — that’s the point between the midpoint of a batter’s shoulders and the top of their pants. Keeping things as close to layman’s terms as possible, do not swing if the ball appears to be headed to the vacant square opposite to where the batter is standing, or if it appears to travel too close to the batter. Games can be played against real-life, human managers or against AI managers, and more likely than not, you’ll be playing against human opponents most of the time. Regardless of which mode you play in, games will always be turn-based, and once you’re playing standard games against human players, you will need to wait until your opponent completes their turn before you can start the next inning. (You have the option to “nudge,” or send a reminder to your opponent if it takes them too long to play their half of the inning.) You can also play “bonus” games, where you will still be playing against human-owned teams, albeit with the AI controlling them so that you don’t need to wait in between the top and bottom of an inning. 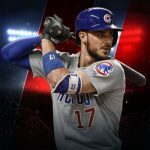 While you can select any of the 30 Major League Baseball teams, MLB Tap Sports Baseball 2019 will put you on even footing with everyone else — at least, as far as those who are playing the game for the first time are concerned — by assigning you a random roster, which you can then upgrade as you win more games and earn more Draft Picks. So, for example, you chose the Philadelphia Phillies, don’t expect to start out your Tap Sports Baseball experience with MLB’s real-life $330 million man, Bryce Harper, in the lineup as your right fielder, or with cover athlete Mookie Betts if you chose the Boston Red Sox. The game’s tutorial, however, will allow you to purchase one Franchise Player — that’s a real-life MLB superstar with vastly elevated stats compared to the players you’ll be starting out with, but only a limited number of games in which he could contribute to your team. Although you definitely want the bat to make contact with the ball, anyone who knows baseball will tell you that there’s much more than just that when it comes to registering a hit. If you don’t make that much contact with the ball, it will either go to the foul zone and result in a foul ball (which would count as a strike until you’re accumulated two strikes), or get sprayed in such a way that an infielder could easily get the ball to first base before your batter makes it there (your typical ground out). If you hit the ball and one of the outfielders catches it before it goes over the fence, that’s a fly out — that doesn’t count as a hit, but that, at least, suggests that you’re on the right track — you’ve made enough contact with the ball to give the batter a solid chance of getting the hit. As we mentioned in the first tip, you want to avoid swinging the moment you figure out that the ball will be traveling well outside the strike zone. But it’s inevitable for players to make such a mistake, especially during situations when you’re playing some of your first few games of the day, or if your form isn’t exactly where it should be. In the latter situation, you may want to take a break from the game and give yourself about a half-hour or so to regroup; this is usually a good way to deal with those times when you’ve simply got no momentum going in most types of mobile games. 3. When Should You Auto-Play Innings? MLB Tap Sports Baseball 2019, just like its predecessors, allows you to auto-play innings, which essentially means you’re allowing the game to handle the battling for your team, on top of the pitching and fielding that’s already handled by the AI. Theoretically, it’s possible to auto-play an entire game for all nine innings, win the game, and collect the rewards you would normally collect had you taken care of the batting all from the first inning to the ninth. (Or more, in case things go to extra innings.) But when should you auto-play, and when should you handle the batting? What we would recommend, if you’re a beginner, is to let the game’s AI take care of the batting if you’re up against a superior team whose Game Rating is equal to or greater than yours. If your opponent ends up trouncing you, or if you end up with a huge lead, you can take over and, well, step up to the bat. If you’re behind by several runs late in the game, the good thing is that there’s pretty much nothing to lose at that point, and if you’re conversely up by several runs, you can take it easy with the pressure off of you — take the chance to do the batting, as this could be good practice for you going forward. As you gain more experience, you may gradually let the AI bat for you against substantially weaker teams in terms of Game Rating, while still taking over during big leads (either for them or for you), but taking over more often during those moments when the outcome is still up in the air. When it comes to playoff games, Tap Sports Baseball will NOT allow you to auto-play innings unless you’ve got a comfortable lead against the AI-controlled opponent. That puts close to the entire responsibility of winning the game on you, as the AI will only take over when things are well out of reach for the opponent, or if you no longer have any realistic chance of winning the game. Want to improve your chances of picking up the win against your opponent, while, of course, increasing your chances of winning some freebies for the victory? It’s just as simple as watching the ad video prior to actually starting the game. Once you’re done with the 30-second clip (or sometimes less), each of your players will get a specific boost to their offensive (batting) stats, which will then improve your team’s overall Game Rating. Naturally, this won’t completely ensure victory, as you’ll still need to make sure your timing is on point when having your players swing the bat, or choose the right time when to auto-play innings. But a stat boost is a stat boost, and those ad videos won’t take up too much of your time anyway. MLB Tap Sports Baseball 2019 may also ask you if you want to use an Ice Pack so you can immediately rest your ace pitcher. We’ll be discussing Ice Packs in a subsequent guide for more experienced players, but for the meantime, we suggest holding off on this unless you’ve got a particularly tough opponent ahead of you. While it is possible to earn cash — the game’s common currency — on occasion when you win games against opposing teams, your main means of earning more gold bars, which are the game’s premium currency, would be by completing achievements. 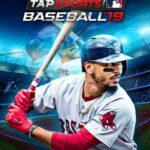 Now these achievements are generally tasks that you can complete through the natural process of playing MLB Tap Sports Baseball 2019 — for example, winning 20 games could get you 2,500 cash, scoring five home runs in a game will earn you 5,000 cash, and stealing eight bases in a game is worth a 30 gold bar reward. You could even earn a ton of cash and gold without having to check the Achievements sub-menu. But we still recommend that you check this sub-menu from time to time, as it should give you an idea of what you should be aiming for when you play your next game or two. Of course, some of the achievements could be quite hard to pull off, but such is the challenge of this game, and completing harder achievements (or those that take longer to complete) will reward you with more cash or gold than what you’d get for completing the easier ones! 6. About Draft Picks – How Do They Work? As part of your rewards for logging in for the first time, you should have received several draft picks, which, as you’ll find out soon enough, are integral to coming up with a lineup that could compete against the best of the human-controlled and AI-controlled teams out there. Unlike in actuals sports drafts, where you can actually select a specific draft pick, the draft picks in MLB Tap Sports Baseball 2019 are, as they’ve always been, random players who may vary in terms of current and potential rating, depending on whether they’re a #1, First Round, Second Round, or Late Round selection. Aside from purchasing them in the in-game store, you could also earn more draft picks by winning the playoffs in a given tier — winning in a higher tier, of course, would typically mean higher, and more draft picks than you’d get if, say, you won the Beginner tier in Bronze. As the game explains, a #1 Draft Pick is the best possible player you could get — you will get a guaranteed three-star player, and that, in most cases, means a player who could contribute to your team right away — these would normally cost you 300 Gold. A First Round Pick is a “good player with potential,” which means you still could get a three-star rarity player or better, or more likely, a two- or three-star player with a solid, but unspectacular rating for starters. If you’d rather purchase a First Rounder, you can get one for 100 Gold. Second Round Picks are more hit-or-miss, and for 4,000 cash, chances are you’ll get someone rated at two stars or less with a sub-50 current rating, though you could luck out and get someone with first-round value. Lastly, Late Round Picks are typically your one-star players with sub-40 ratings, with an outside chance of a 40-60 player — these will cost you 1,000 cash per draft pick. We’ll be wrapping up this tip with a bit of expectation-setting — after hitting on the corresponding draft pick button, the game will show you the six players you could potentially end up with. Based on our experience, the player you’ll get will usually be the lowest or second-lowest-rated player among the six, though you will sometimes be asked if you want to watch an ad video to re-roll, which means you’ll get six new players that the game could choose from. Improving your players in MLB Tap Sports Baseball 2019 is just the same way it used to be in previous iterations of the game — you’ll need to have enough Experience Points and cash in order to carry out those upgrades and level your players up. Tap on the upper left button for the menu selection, then head to Team, where it should default to the Improve section. In here, you’ll see everyone on your current roster, listed from highest overall rating to lowest, and from that point, you can tap on the corresponding buttons under each player’s name to level them up. Each update will cost you progressively more cash and XP, but what’s to do if you don’t have enough XP to carry out an upgrade? You don’t want to be adding draft picks you don’t need or trading in players who may still be of use to your team after all. In order to avoid this pitfall, you will obviously have to review your roster so you could have an idea of what your strengths and weaknesses may be. Do you have a lot of players who could hit a ton of home runs without trying too hard, or do you have a lot of fast players who could benefit your cause by stealing bases without getting caught? Do you have a strong starting pitching rotation that could keep your opponents at bay while you outscore them on offense, or do you lack a good closer that could ensure that a hard-earned win doesn’t turn into a loss at the bottom of the ninth? Or maybe your seventh to ninth spots in the batting order are especially useless — that should show you which positions you should be hoping to upgrade through your draft picks. The game keeps things simple when it comes to rating players — each player has three basic attributes and either bats/pitches left or right. Batters are rated based on HIT (batting average), PWR (power), and SPD (speed), with 60 being a good rating for each, while pitchers are rated based on ARM (arm strength), CTL (pitching control — their tendency to throw strikes and avoid walking batters), and STF (versatility/trickiness of pitching “stuff,” i.e. their pitching repertoire). Once again, 60 is considered good for pitchers’ individual attributes. It’s preferable if you know which players excel in certain attributes, as that gives you a good idea of what to expect, either if they’re part of your team or even as part of an opponent’s team. And this ends our MLB Tap Sports Baseball 2019 beginner’s guide. Be sure to check back as we are planning to share more tips and tricks for the game in the nearest future!